Vuly Trampolines on health and fitness: It's World Health Day! At Vuly Trampolines, we're big advocates for healthy and active lifestyles. On 7 April, the World Health Organisation (WHO) will be directing their annual World Health Day focus to diabetes, and the incredible impact that this chronic illness has on people of all different types around the globe. They have a great campaign going this year that we'd like to address! It’s estimated that 1-in-20 Australian adults will suffer from diabetes in their lifetime; it pays to learn the warning signs and how to stop preventable diabetes from occurring within your family. In the spirit of World Health Day’s diabetes campaign, we take a closer look at what diabetes actually is, and how we can eat (and bounce) our way to good health. Vuly Trampolines on health and fitness – What is diabetes? Diabetes is broken down into three separate types: Type-1, Type-2 and gestational (brought on by pregnancy). However, all kinds of diabetes share one thing in common: the pancreas is unable to produce insulin to convert sugars within the body. This results in a range of symptoms from mood swings and blurred vision, to excessive thirst and lethargy. Type-1 diabetes is an autoimmune disease, which one cannot prevent nor cure. Doctors still aren’t sure why it occurs, but when you have Type-2 diabetes, your body destroys the cells in your pancreas that convert sugar to energy. People with Type-1 diabetes must manage their condition with daily insulin injections and a healthy lifestyle. Type-2 diabetes is often a progressive condition, which develops because of high risk lifestyle factors. Accounting for 85-90% of all diabetes, Type-2 diabetes has a strong family history link, but is also brought upon by an unhealthy diet, lack of physical activity and obesity. 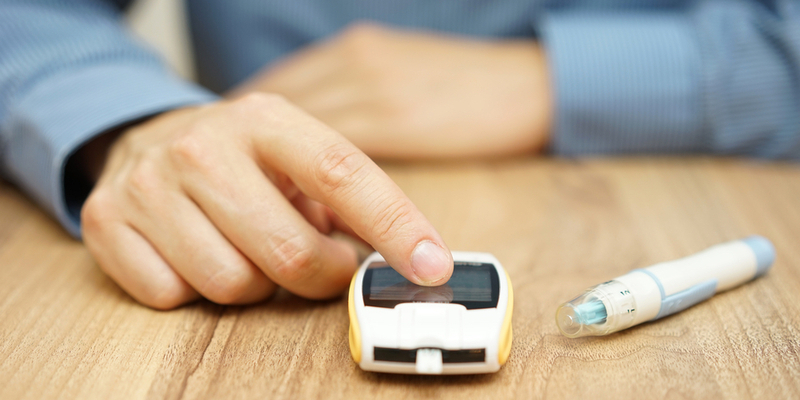 Like Type-1 diabetes, you can manage it through lifestyle changes, insulin injections and other medications. Diet, as we've mentioned, is a critical tool when managing and preventing diabetes. By following the Australian Dietary Guidelines, you give yourself and your family the highest chance of preventing Type-2 diabetes. Even if you already have Type-2 diabetes, following the guidelines can also minimise the symptoms and risk factors. Vegetables, fruit, legumes and beans in a rainbow of colours. Wholegrain and high-fibre varieties of breads, cereals and pasta. Reduced-fat dairy, like yoghurt and cheese. Foods high in saturated fats, such as pastries, pies and takeaway. Foods containing excessive salt, such as frozen meals and sauces. Food and drink that contains added sugar, such as soft drinks and sweets. Tip: The right kind of snacking snacking can play an important role in the management of diabetes. Opt for healthy options in between meals, like low-salt nuts, fruits or no-added-sugar yoghurt. Vuly Trampolines on health and fitness – How much exercise is needed? Diabetes Australia outlines a very achievable exercise regime of only 30 minutes each day! Whether you take your dog for a walk to the park, have a half-hour bounce on your trampoline or a game of after-school backyard cricket, these 30 minutes a day can make a hugely positive impact to your health and wellbeing. What diabetes-friendly meals and exercises do you and your family enjoy to stay healthy? Get in on World Health Day by tagging your healthy meals, workouts or diabetes management tips with #diabetes on Instagram!